Hard Disk die? Think you may have a crashed hard disk? 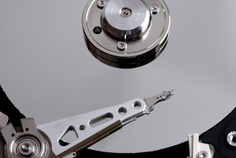 We are proud to handle Tucson hard disk recovery services. Let us help you get those precious pictures or valuable files back. Continental Computer Services is your local Tucson hard disk recovery specialist. We recover hard disk data lost because of power surges, static electricity, lightning strikes, fires, floods, sabotage, viruses, accidents, & user error like deleted files, formatted / f-disked drives. Our technical professionals are experts in salvaging data from inaccessible, formatted, damaged, failed, or wrecked primary storage media where data cannot be accessed normally using the operating system. We enjoy a high success rate of hard disk recovery and file recovery. Let us take a look at your crashed hard disk. Is the data easily accessible to our recovery lab equipment? Does the data loss involve a hard disk crash? If so, recapturing the data may involve replacing failed or damaged components like electronics, heads, or drive motors in a clean room environment before we can use our tools to create an image of the data. Are file structures intact? If file structures are extensively damaged or missing, recovery from a data fragment may still be possible. 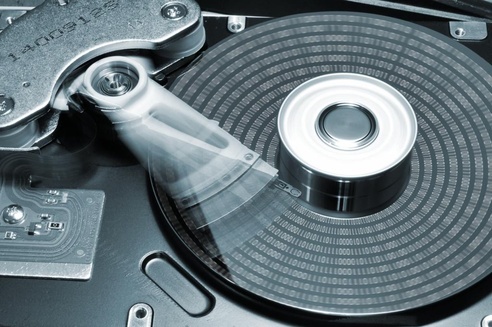 Once you are comfortable with our process and the price estimate we provide, we will begin hard disk data recovery in our local lab, keeping you apprised of our progress as we move forward. The hard disk data recovery process includes creation of new file lists and full data verification for both validity and integrity. All recovery results are provided to you – and recovered data is provided in whatever format you specify. File Recovery - what is it? Recovering your lost data involves salvaging data from inaccessible, formatted, damaged, failed, or wrecked primary storage media where data cannot be accessed normally using operating system. This includes recovering data from a crashed hard disk. In case of data disasters, the data is being salvaged from data storage media such as hard disk drive, pen drives, digital cards, storage tapes, CDs, DVDs, RAID and other optical medias. Recovery may be required because of physical damage to the storage device or logical damage to the file system that prevents it from being mounted by the host operating system. Although there is some confusion as to the term, file recovery can also be the process of recovering deleted information from a storage media for forensic purposes. If your files are accidentally deleted, your entire system has accidentally been changed, or data has been lost to virus attacks, you likely need specialized recovery services to yield highest quality results. Data usually gets lost due to physical damage to data storage media or logical damage to the file systems. But there are other causes which results in data loss. Unix (SCO Open Server, BSD) etc. After a successful information recovery, files tend to get corrupted and inaccessible due to high interpretation of data during the recovery process. Then you need specialized recovery followup -- we offer the following services through our data restoration division. We can provide a high range of Data and File Recovery Services which includes Email Recovery (Microsoft Outlook Express & Microsoft Outlook), Exchange Recovery (Exchange OST, Exchange EDB) File Repair (Microsoft Access, Excel, Word & PowerPoint), Backup Recovery (MS Backup, ZIP). Our fully equipped labs and effective information recovery engineers help in recovering data more precisely and are successful in providing professional recovery software tools and services to big corporate and home users. Just click here to Request a Quote. We will respond with a quote to recover your lost files. Although we specialize in Tucson Hard Disk Recovery, we do offer our services to those outside of Tucson, AZ. If you need a hard disk recovery, you can ship it to us and we can provide you a free quote.